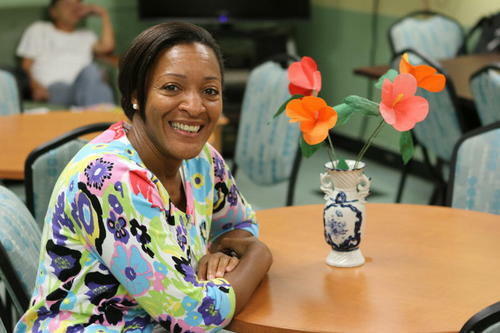 As a student just graduating from Hunter College, Belinda Bernard was planning on staying 6 months at Project Renewal, 20 years later she is still with us and is dedicated to helping clients who struggle with mental illness. “There is so much about human beings that we misunderstand and take for granted.” Belinda said. Her best days at work are when a client experiences a new insight; an accomplishment that takes them to the next level of their treatment and increases their awareness and independence. Directing the Safe Haven Shelter is a new role for Belinda, following many years on the staff at Clinton Residence. Since those first days moving from a student at Hunter to Project Renewal, the client population—those struggling with mental health issues—remains her focus. Project Renewal's mission is to end the cycle of homelessness by empowering individuals and families to renew their lives with health, homes and jobs.